*UPDATE* Now has 16x16, 32x32, & 48x48 256 color vesions of eash Icon, For Non XP Users. 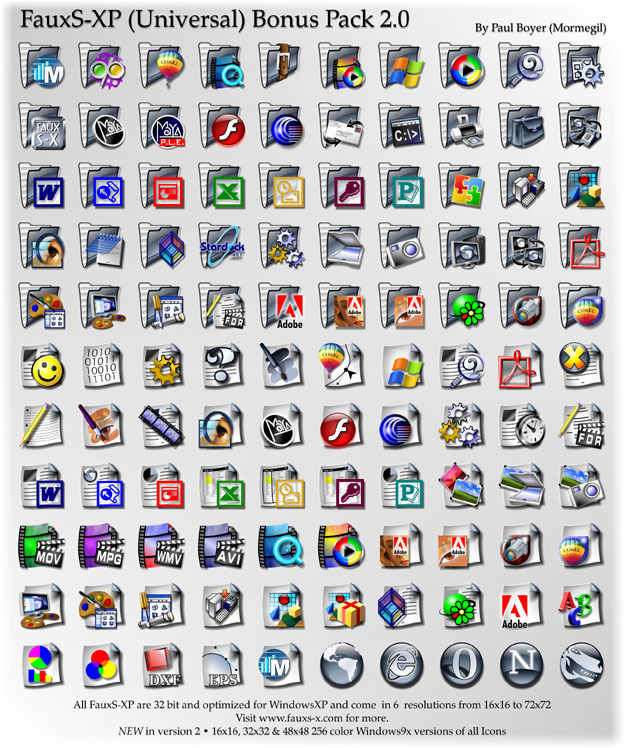 110 Bonus Icons to go with My FauxS-XP (Universal) Iconpack. Enjoy. For More FauxS-X Stuff visit www.fauxs-x.com, Comments Welcome. awesome! I've been waiting for "later tonight" for a few days. Your icons are the best! Ya, I have to quit saying that, It always seems like it will only tak awhile to finish these packs, then the next thing I know its 2 days later. Oh well on to the next one.